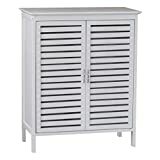 Save on Storage Cabinets at My Natures Treasures. Top brands include Gallerie Décor, Icarus, Twin Eagles, & Salsbury Industries. Hurry! Limited time offers. Offers valid only while supplies last.